For most of the last century, entry-level jobs were plentiful, and college was an affordable path to a fulfilling career. That world no longer exists. The feature-length documentary “Most Likely To Succeed” (2015, 88 minutes) examines the history of education, revealing the growing shortcomings of our school model in today’s innovative world. The film explores compelling new approaches in project-based learning that aim to revolutionize teaching as we know it. Presented by the Sholem Community, a non-profit co-operative organization for cultural Jews and multicultural families. 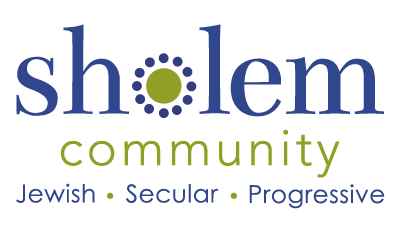 Sholem’s secular (non-religious) Sunday school engages children 4-17 years in an exploration of Jewish identity and progressive ideals. Sholem also offers a monthly parent-toddler group, a unique thesis-style bar/bat mitzvah program and humanistic observances of Jewish holidays. Entrance to event is from rear of building, off Coral Tree Place. Street parking on Coral Tree and Beethoven. Admission is free with advance registration. There will be a $5-per-person donation at the door for those who do not register ahead of time. Recommended for 12 & up; younger children are welcome to participate in a Sholem school class with students their age while parents attend the program. Contact regan@sholem.org to see about reserving a space for them.